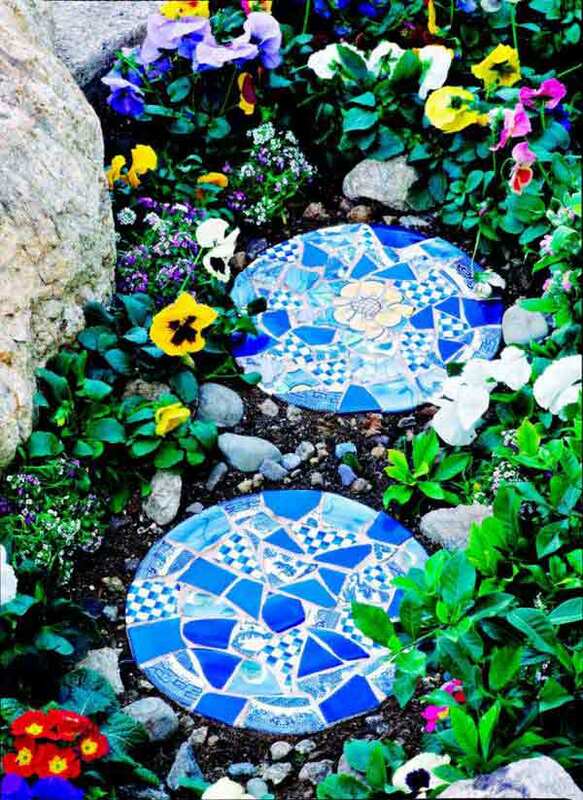 When creating a garden path, you are never limited to stones and traditional tiles. 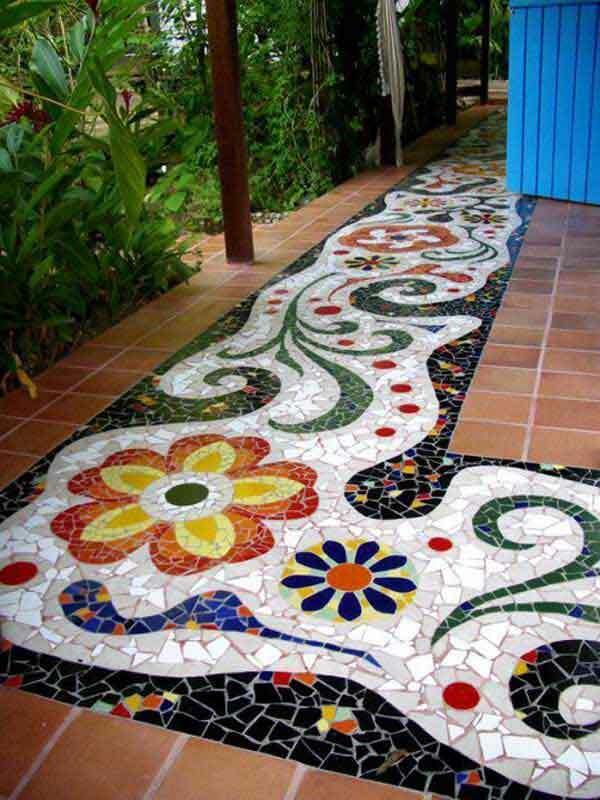 With colorful tiles at hand, you can create a garden path that’s majestically beautiful. 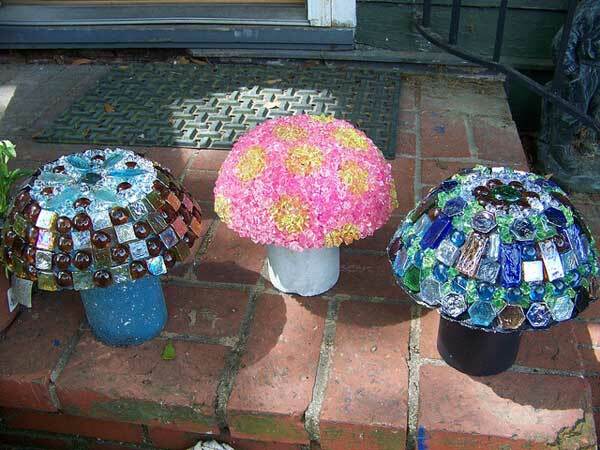 It’s now time to ditch ‘growing’ mushroom because with the help of a few of your old vases and jars, you can ‘create’ the most beautiful mushroom in the world! Who says mushrooms typically grow out of nowhere? It’s now time to ditch ‘growing’ mushroom because with the help of a few of your old vases and jars, you can ‘create’ the most beautiful mushroom in the world! Through this very unique project, you can turn those stepping stones into your garden’s chief attraction. Stepping stones don’t need to be behind the big curtains, thanks to mosaic stepping stones. Through this very unique project, you can turn those stepping stones into your garden’s chief attraction. 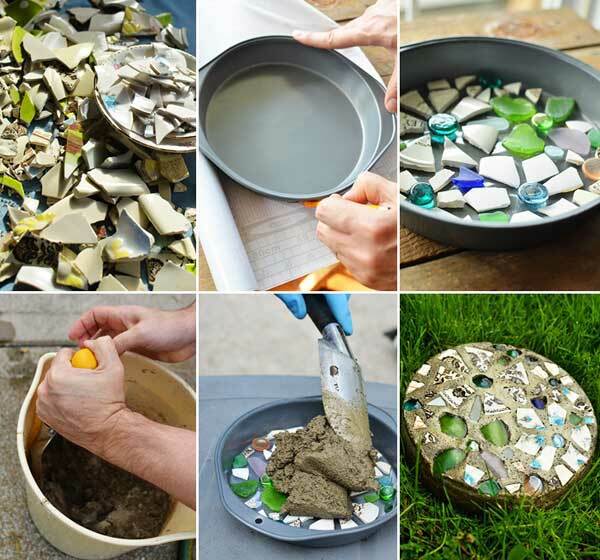 Old mugs don’t need to be thrown away in the trash bin if you have the creativity to make a mosaic out of them. 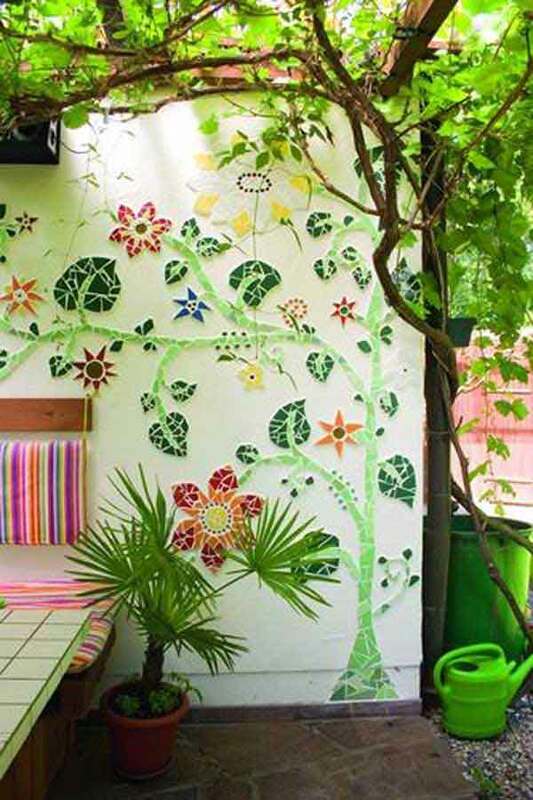 Turn your scrap into a work-of-art and you will surely be more than happy to have an instant mosaic on your garden wall. Indeed, this is good news to all coffee and tea lovers out there! Who says lady bugs are the pests you never want for your garden? This project definitely proves this notion wrong! 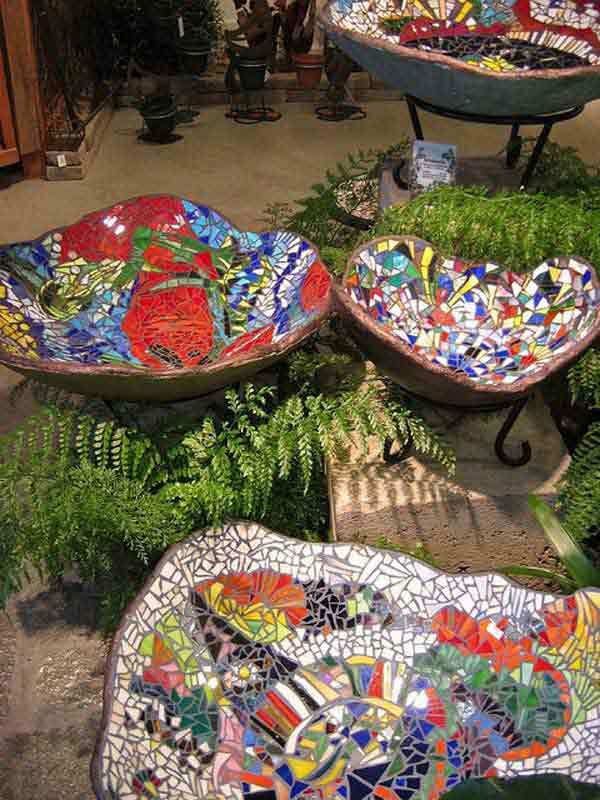 Transform your ordinary garden into a haven through these one-of-a-kind bowl mosaics and you will surely give landscapers a run for their money. 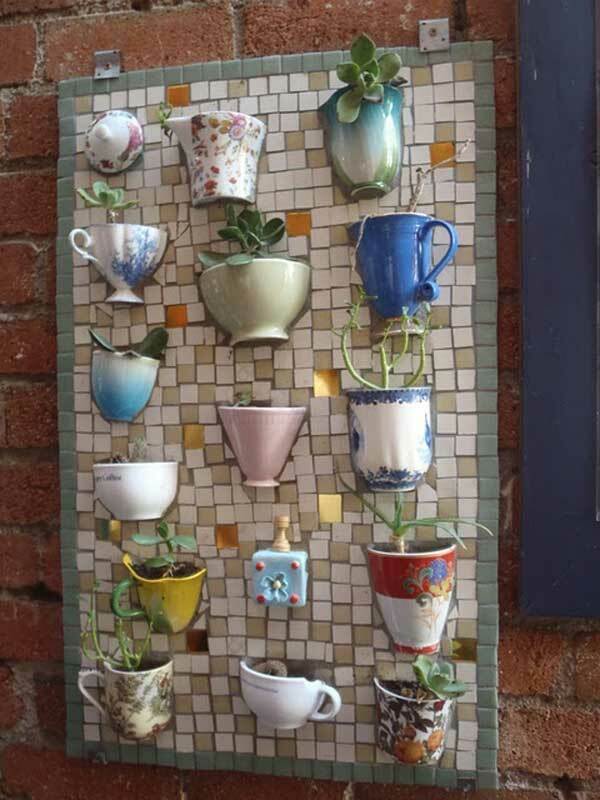 If you’re not good at painting, you can still give your wall a complete make-over by this do-it-yourself wall art mosaic. 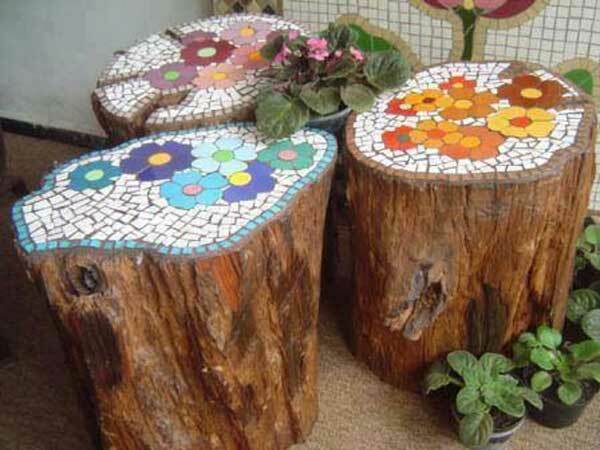 Put that good old tree trunk into good use by unleashing your imagination and creating a mosaic out of your old wood. 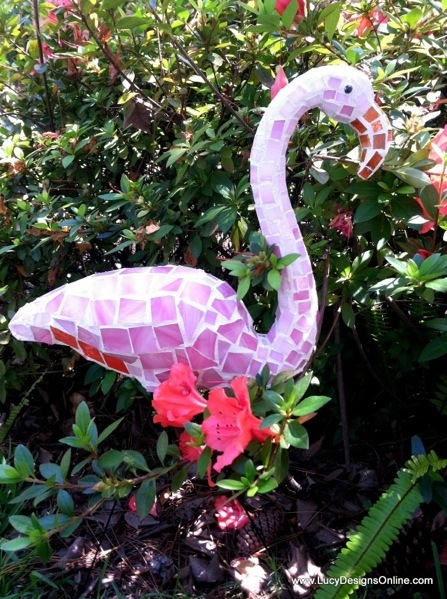 This flamingo mosaic can surely make heads turn as it is an epitome of artistry. If you’re not fond of taking care of pets, why not create one that you don’t have to feed? This flamingo mosaic can surely make heads turn as it is an epitome of artistry. Let all the birds fly in through this wonderful bird magnet. 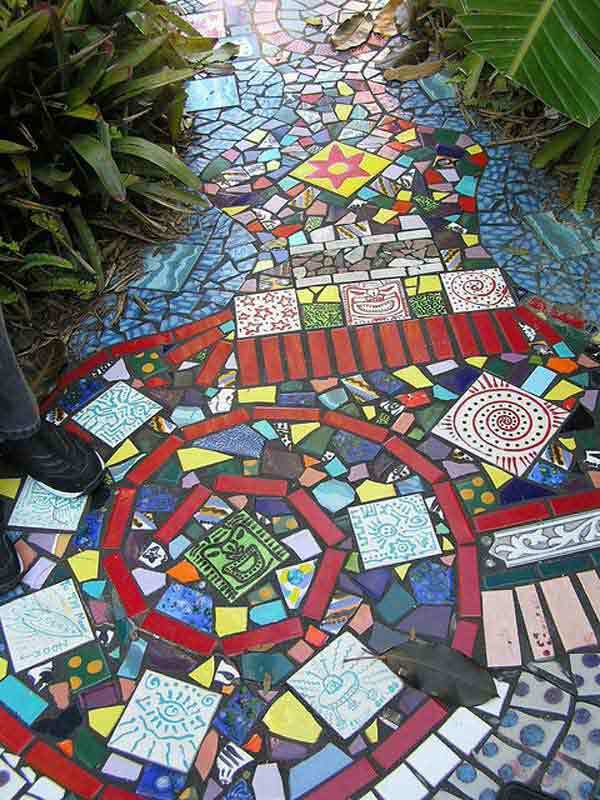 Be the envy of all homeowners by creating an artistic mosaic pathway specifically designed to add glam to your patio. 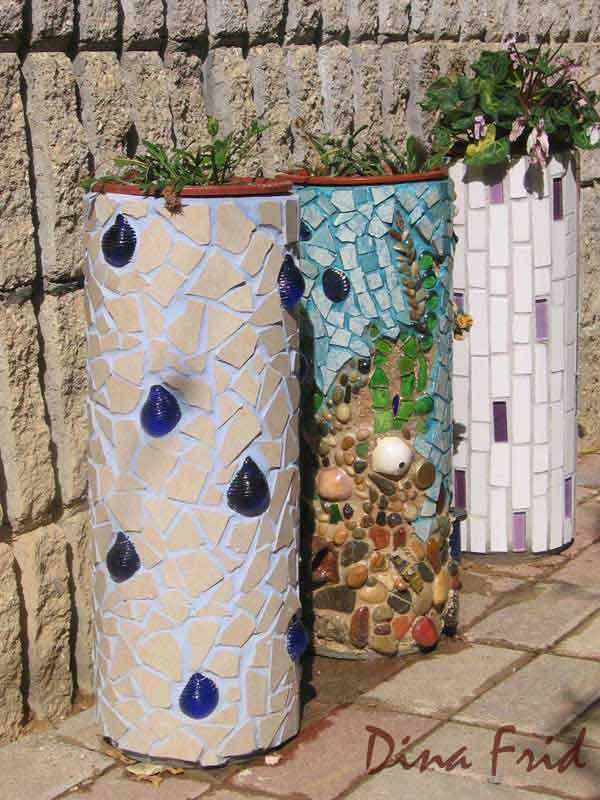 If you are fed up hiding those old dirty pots, this PVC pipe planter can blow all your gardening blues away. 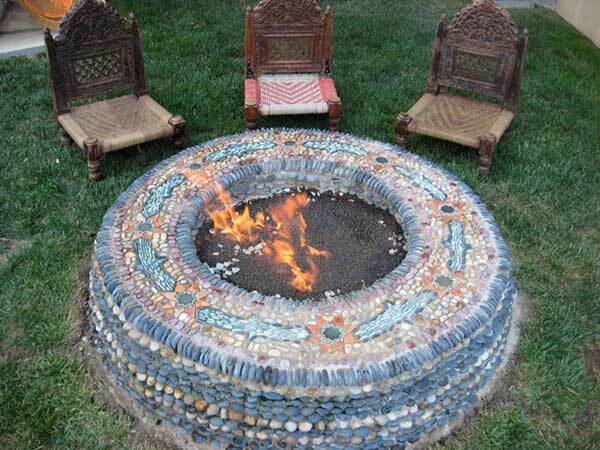 you’d find yourself in complete amazement with this unique firepit mosaic made up of stones. Just when you thought sitting around a firepit can never get more fun, you’d find yourself in complete amazement with this unique firepit mosaic made up of stones. 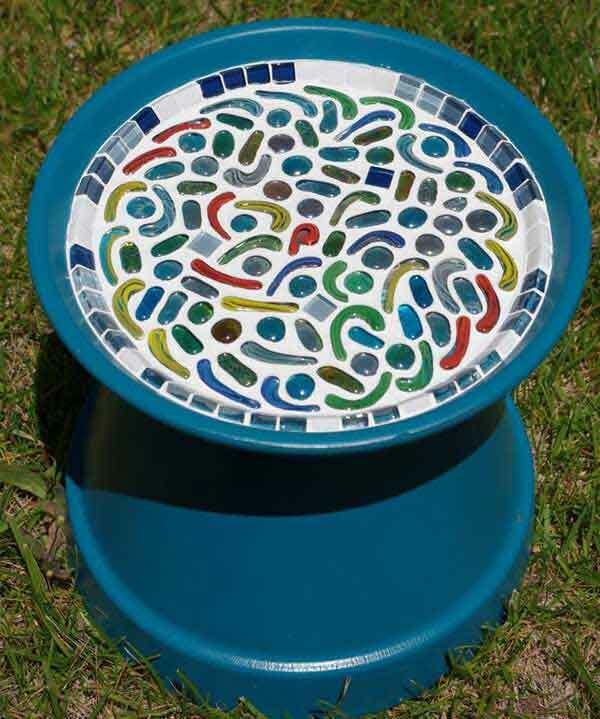 Step into a new level of sophistication with the help of these mosaic stepping stones. 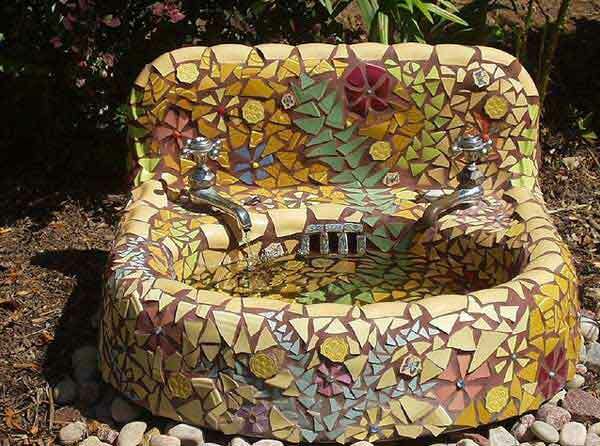 Your sink doesn’t have to be out of style, and that’s what we can definitely learn from this sink fountain mosaic.